This 2003 Chevrolet Silverado happens to be my personal vehicle and today I decided to test the battery as cool weather is upon us in South Carolina. The battery failed a load test as expected. I have heard the cranking sound slightly off key for the past few weeks. 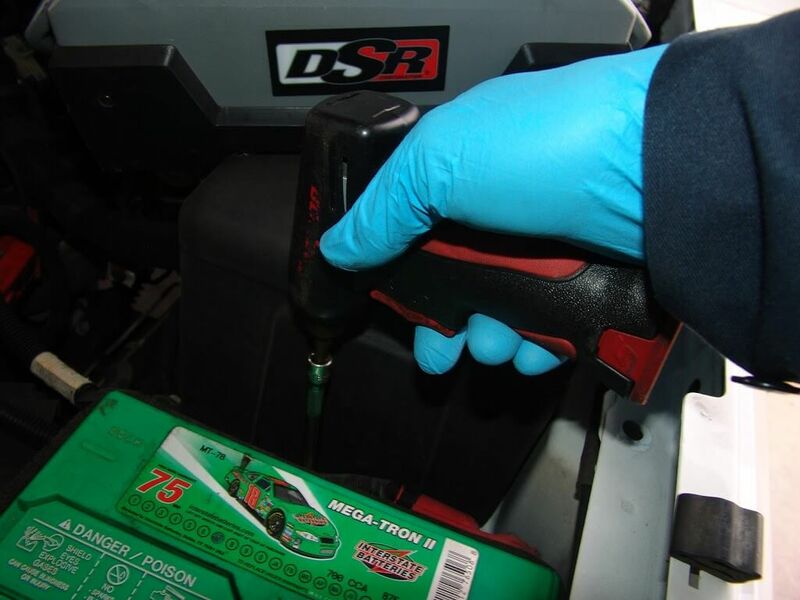 Yes, I can detect/hear a weak battery in the noise the starter makes while cranking the engine. 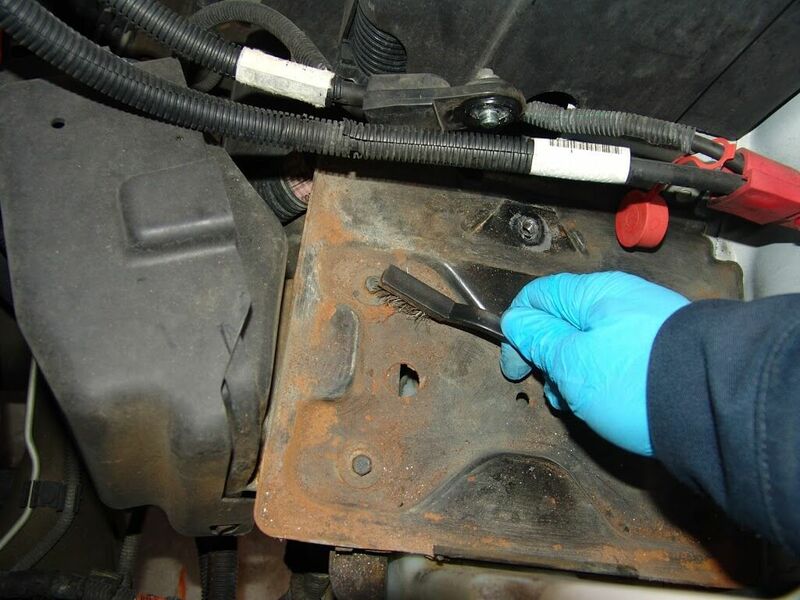 This repair article may seem quite mundane but there are some key points about maintaining system memory, choosing the correct battery and small details that can make a world of difference in the reliability of your vehicle. 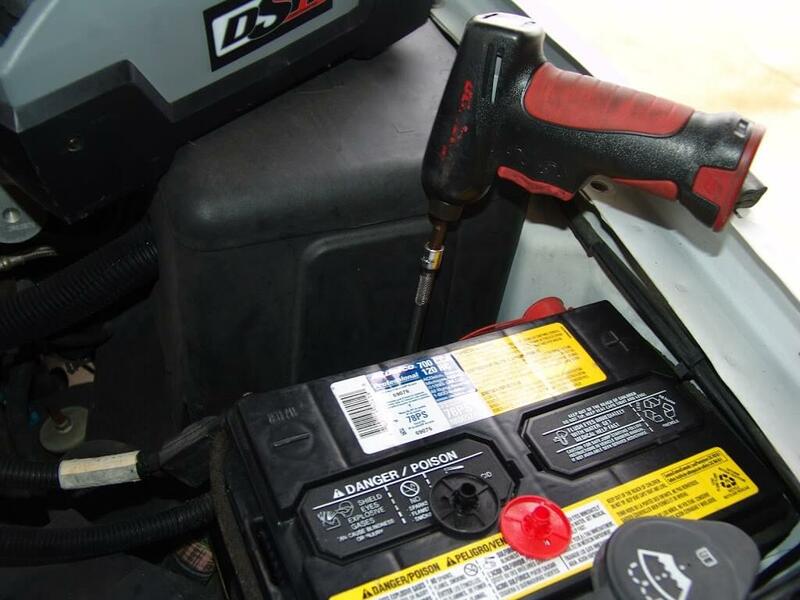 The first step in replacing a battery in a modern automobile is to set up a battery back up system. This maintains all of the memory in the computer systems. This is important for things like idle control and shift patterns. 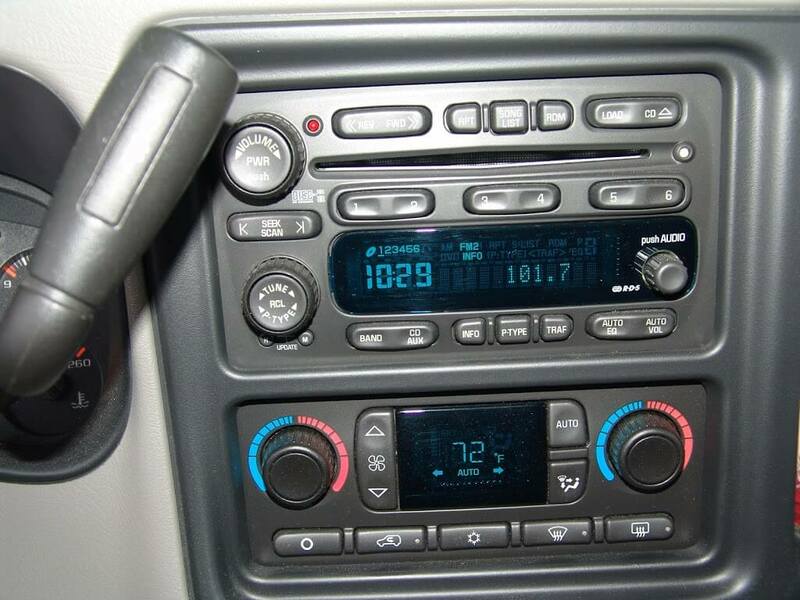 It also maintains things like radio stations, clocks and temperature settings. Chevrolet created places that make it easy to perform this task. 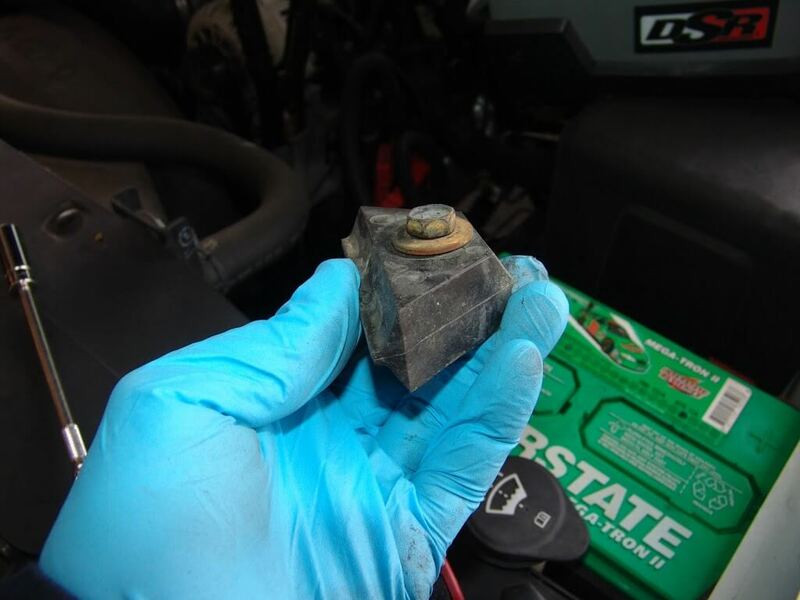 An aluminum tab near the alternator marked GND. This is of course where the ground cable attaches. 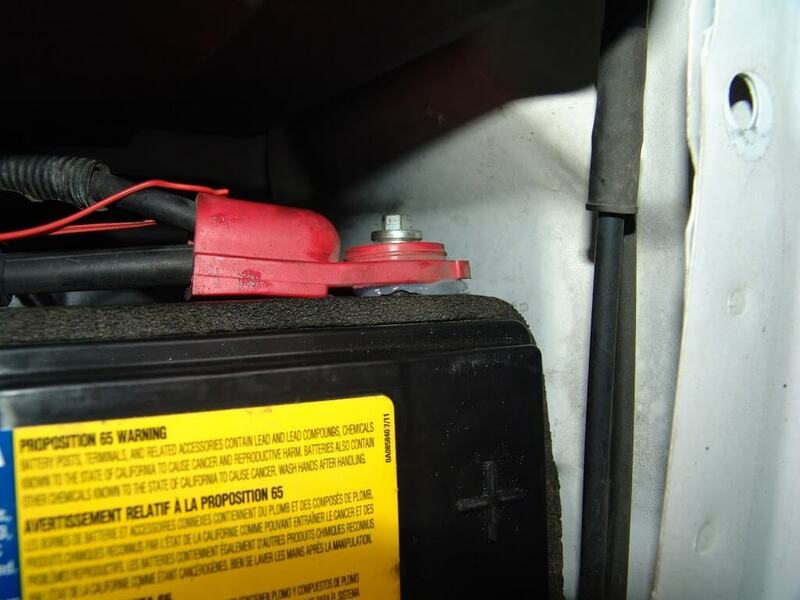 There is a red plastic housing marked Battery(+). There is a cover that has to be opened to expose the cable connection. 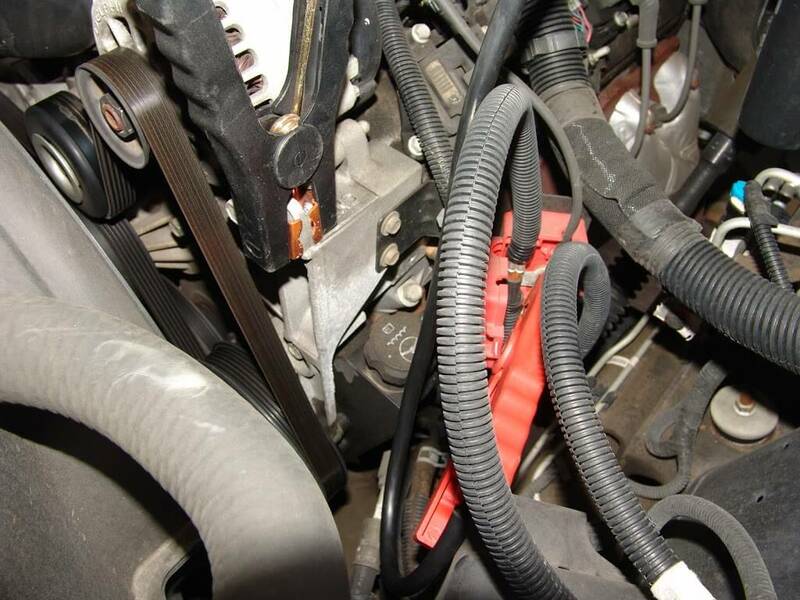 The positive cable of the jump box connects there. If your jump box is like mine make sure you remember to actually turn the switch on. Now that the battery back up is in place it is time to start removing the battery. 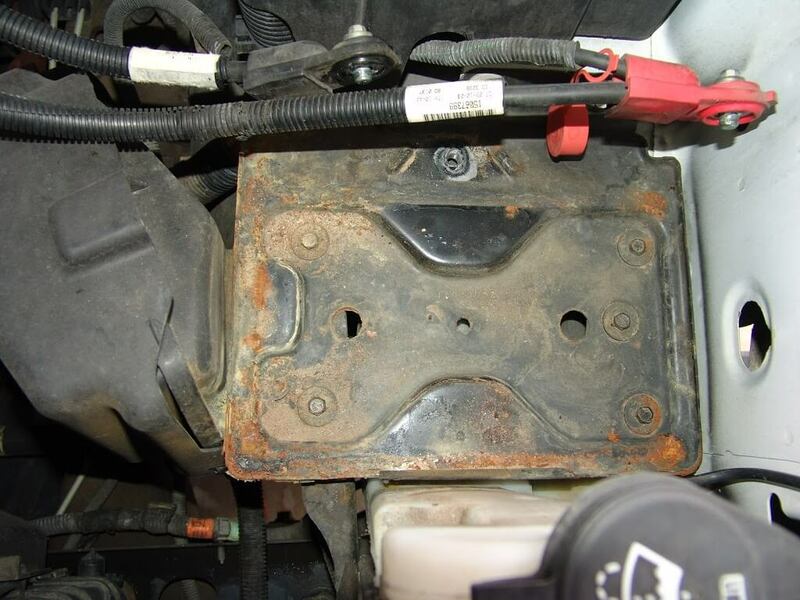 There is s fender brace with two bolts that hold it in place. Both have 10 mm heads. With the brace/bar out of the way it is time to switch to a 13 mm socket and add an extension. 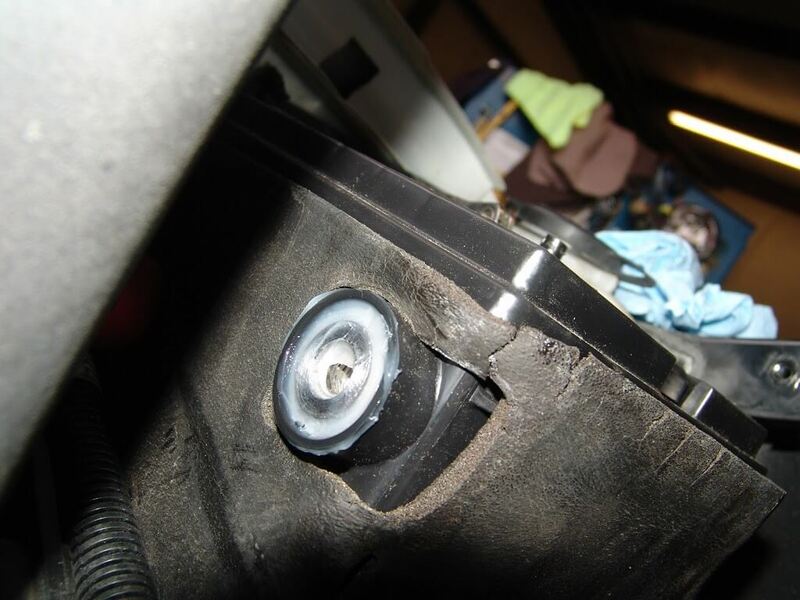 This is the plastic hold down and 13 mm headed bolt that I was removing in the above picture. Although I am showing removing the red/positive cable in the next picture, I do want to emphasize that the ground should always be disconnected first. It takes a little bit of wrestling around to lift that battery up and out of the hole. Keep in mind that since we have a battery back up in place the red/positive cable is actually still hot/powered. 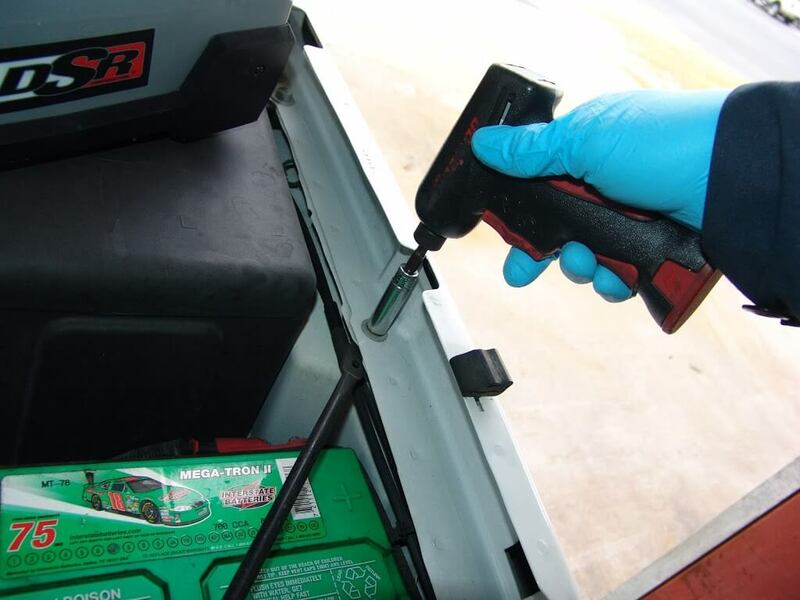 Since a battery normally only comes out of a vehicle every 3-6 years it is a good idea to at least clean the dirt out of the battery tray. I always use a shop vacuum to clean the battery tray. Since this is my truck and I had enough time, I also wire brushed the tray to remove the loose dirt and rust. I also spayed some black enamel paint on the tray to seal it. If I would have had more time I would have removed the tray, cleaned it in the glass bead cabinet and then primed and painted it. I am a bit OCD but not too bad today. 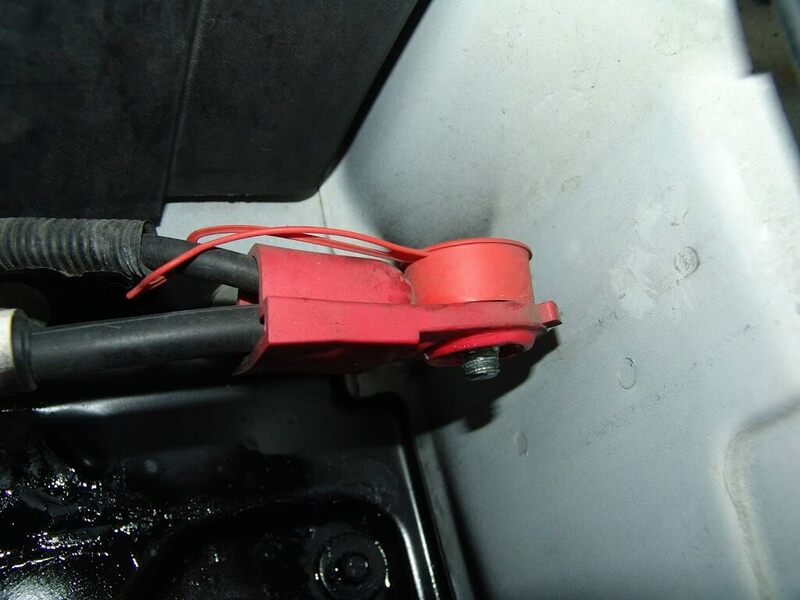 Also note that I have placed the red plastic cap over the exposed battery bolt in the red battery cable end. 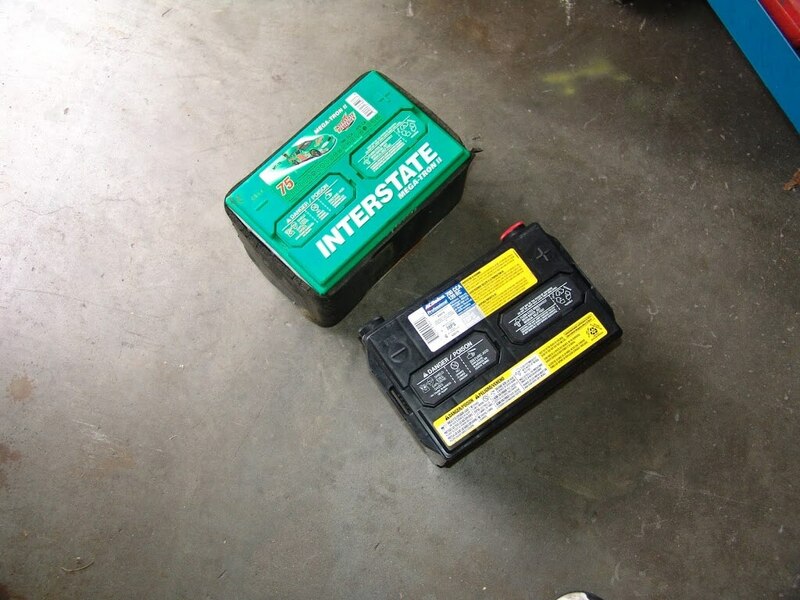 These batteries have a foam insulator that installs over the battery. 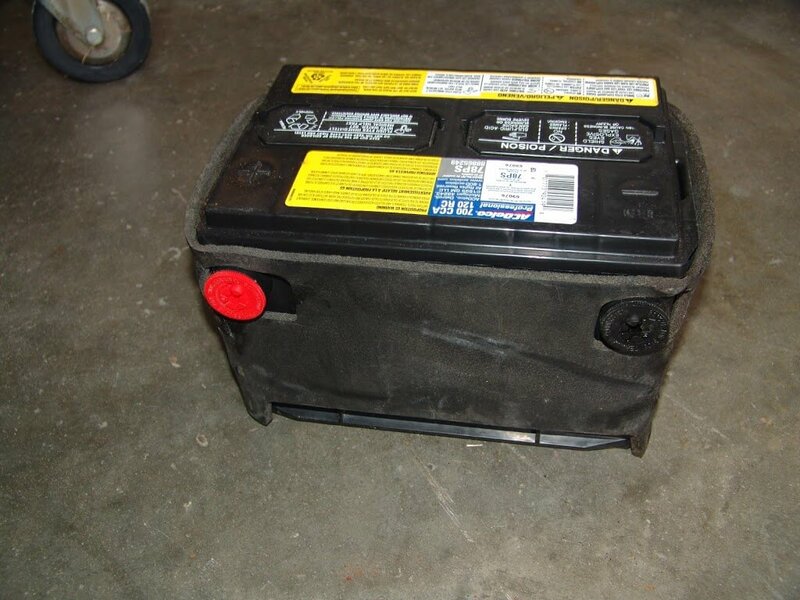 Be sure that you transfer it from the old battery to the new battery. It can be slid in either direction but today I pulled it off from the bottom, so there would be less chance of tearing it. Installed on the new battery. 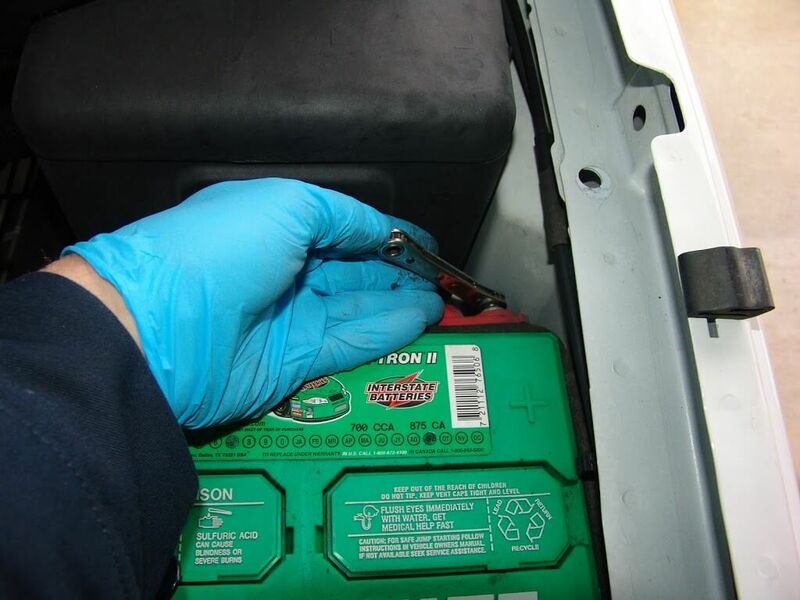 Be careful when installing the battery into the tray as the positive lead is still hot/powered. 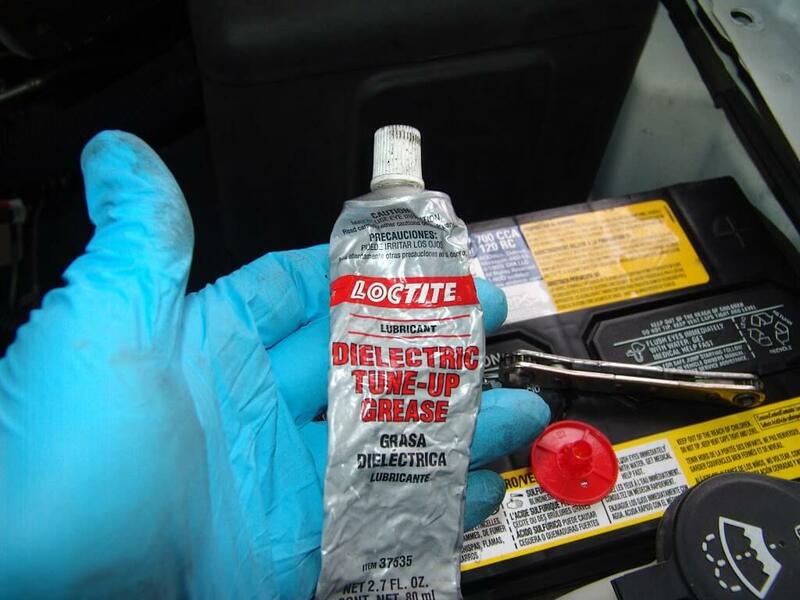 I use dielectric grease on the battery posts. I fill the void between the lead post and the plastic case. I also wipe some across the face of the metal. 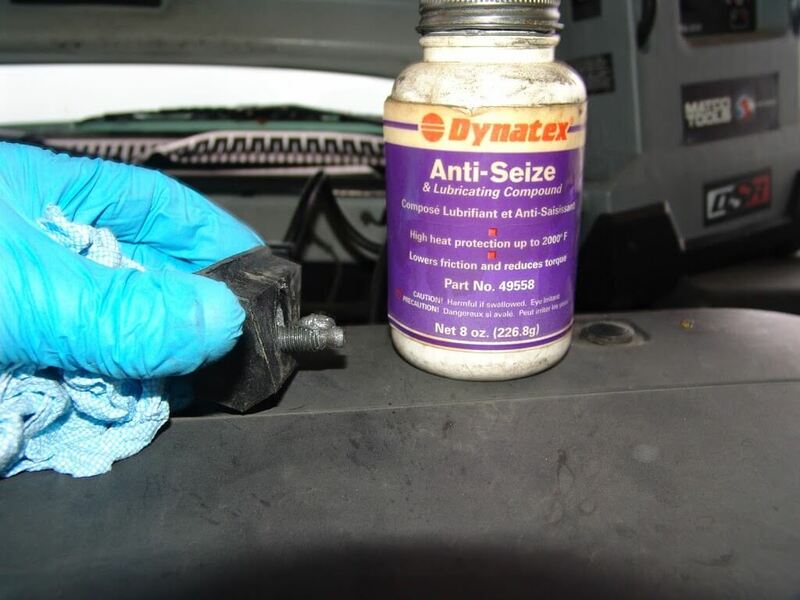 When tightened any excess grease will be pushed out. I wipe off the excess with a rag or my finger. 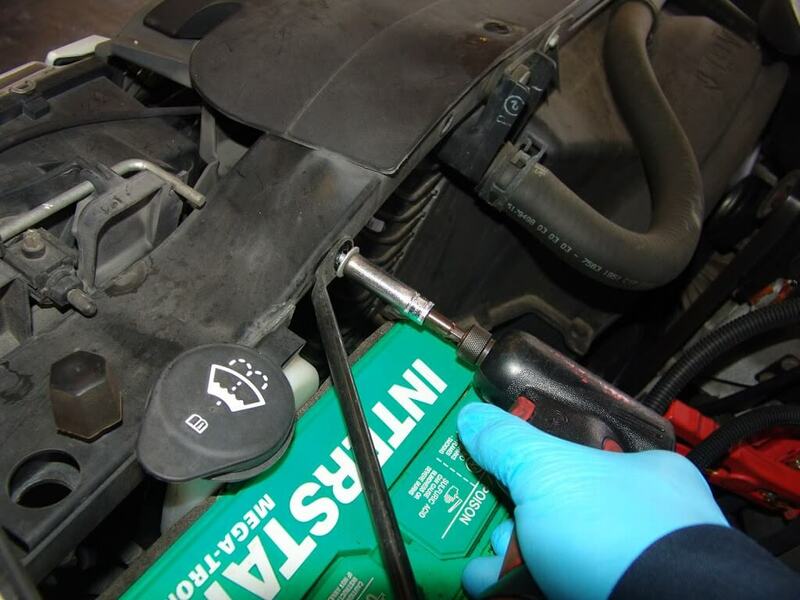 Another trick is to use anti-seize compound on the threads of the battery hold down bolt. Make sure that the hold down is properly installed and tight. 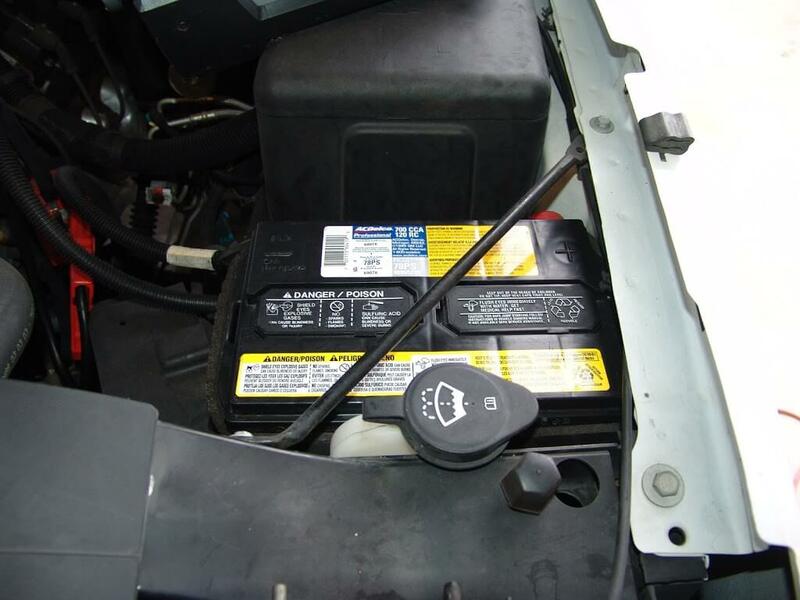 A loose battery will not last as long as a secured battery. 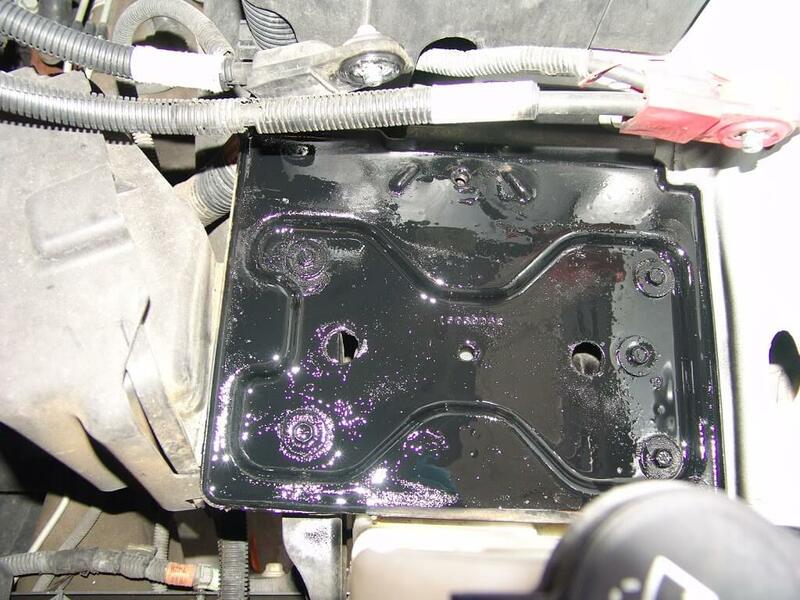 The excessive vibration will damage the internal plates. 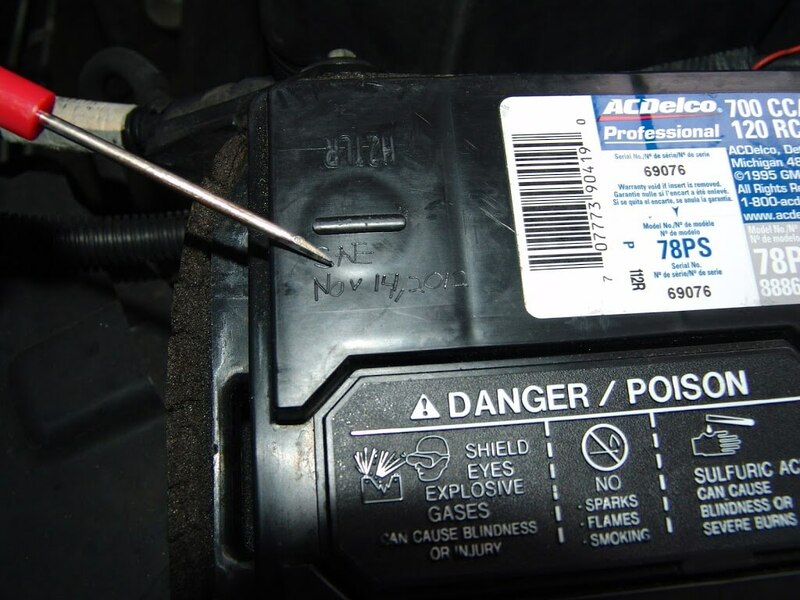 I use a pocket screwdriver to scratch the date in the top of the battery along with the initials of my shop. 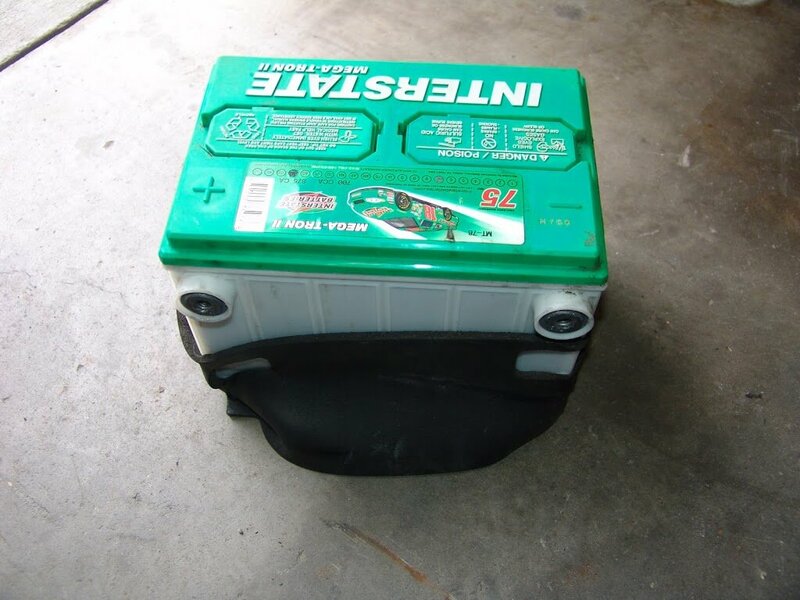 The new battery fully installed with the brace back in place. All of my presets and memories are intact as well. 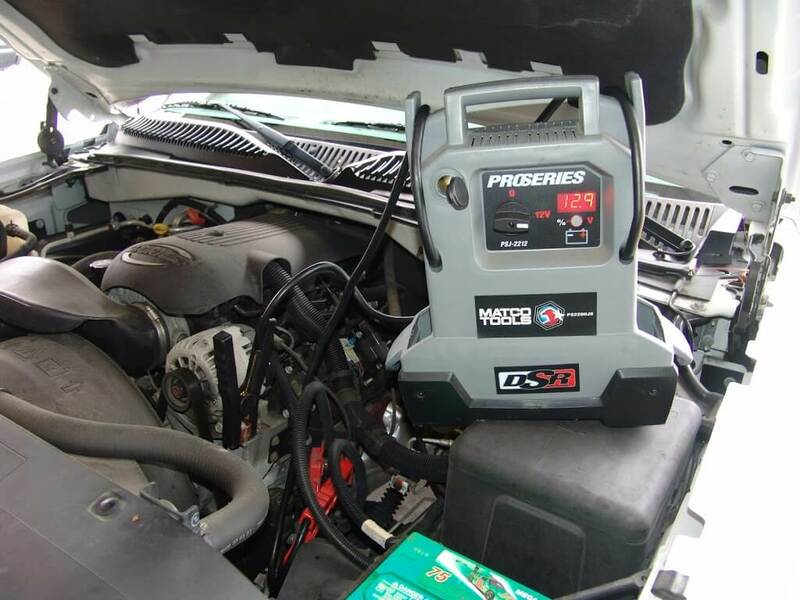 I chose an ACDelco 78PS battery with 700 cold cranking amps. This is due to my experience and the region of the country that I live in. The standard 78P battery has 550 CCA and that is not quite enough given the size of the engine (5.3 liter) and that we do have temps in the winter down into the low teens. The 78PG battery has 800 CCA and that is good for a much colder climate but it will not last very long with our long hot summers. Now back to the customers’ vehicles.